Aaron Posner’s newest play radically intersects with Anton Chekhov’s masterpiece. While Three Sisters plays out in one theatre, half the cast simultaneously performs No Sisters upstairs in another. 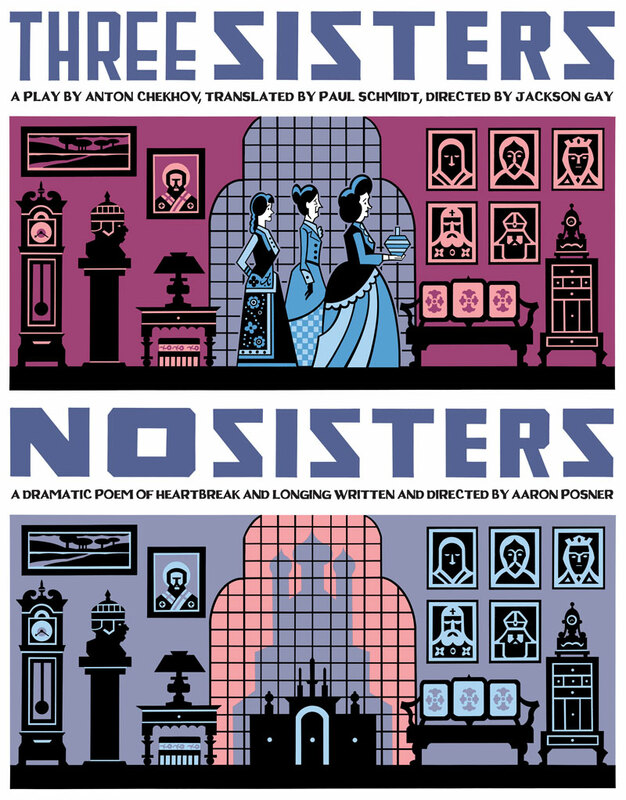 No Sisters was commissioned as a part of Studio R&D, Studio Theatre’s new works initiative.